2018 is an impressive milestone for Gainsborough Specialist Bathing as it signifies three decades of specialism in assisted bathing. Gainsborough is a proven manufacturer of power assisted baths that deliver utmost safety, dignity and comfort in long term and acute care. It has an established heritage for design innovation and engineering prowess which results in cutting-edge bathing solutions for bathers and carers. 1988 witnessed Gainsborough’s acquisition of bath manufacturing facilities in Walsall, West Midlands. Over the decades this site has become Europe’s largest manufacturer of specialist baths and a centre of excellence that drives change in the care sector. Its world-class power assisted baths deliver performance of the utmost calibre in the most challenging of high-traffic situations. This proven track record has been enhanced by a holistic approach to service and support that adds value throughout the lifetime of the product. The Gentona bath from Gainsborough is highly regarded within the industry and is first choice for many healthcare providers. 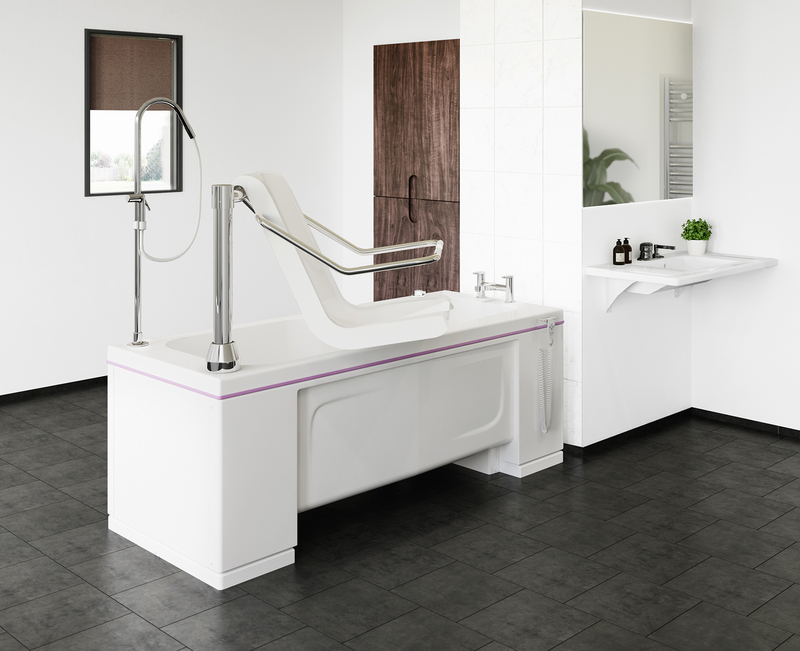 It is an ultra-efficient variable height bath with powered bather transfer seat that delivers dependable moving and handling – encompassing over three decades of knowledge and experience in assistive technology. By specifying the Gentona care home groups and hospital trusts benefit from a reduction of approximately 20% on their water and electrical consumption. In addition to this commercial advantage, the Gentona delivers clinical excellence through its BioCote Antimicrobial Technology. Introduction of this superbug-beating protection in 2017 represented another significant milestone in Gainsborough’s 30-year timeline. As a world’s first in assisted bathing, BioCote provides 99.9% 24/7 protection against harmful microbes including Influenza H1N1, E.coli, Salmonella and antibiotic resistant CPE, CRO, CRE, VRE and MRSA. In celebration of Gainsborough Specialist Bathing’s 30th year of specialism, this trusted manufacturer is offering the Gentona bath at only £5500* – including delivery and commissioning. * Full terms and conditions on request. Previous ArticleWhat’s New about Dementia?